Taste test: These chips had a nice crispness to them with a little less crunch than most kettle-cooked potato chips, and they tasted good, but they did not taste like Buffalo wings. 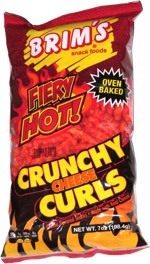 At first, the taste was a bit tangy but without any heat at all, but as I got closer to the bottom of the bag, the chips did seem to have more flavoring and some heat. 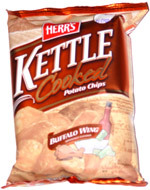 The are plenty of Buffalo wing chips on the market that actually taste like Buffalo wings. These are not among them. Smell test: Nice spicy pepper smell, but not really like Buffalo wing sauce. Made my mouth water.